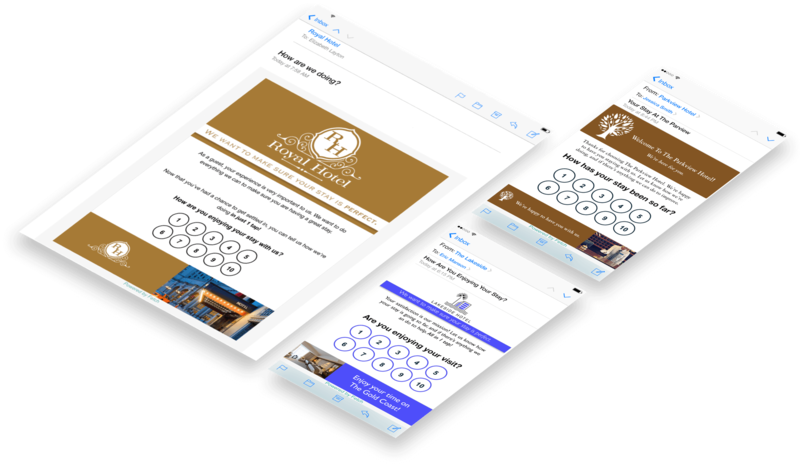 Proactive on-site guest surveys in 1-tap. Fetch helps you ensure guest satisfaction, before it's too late. 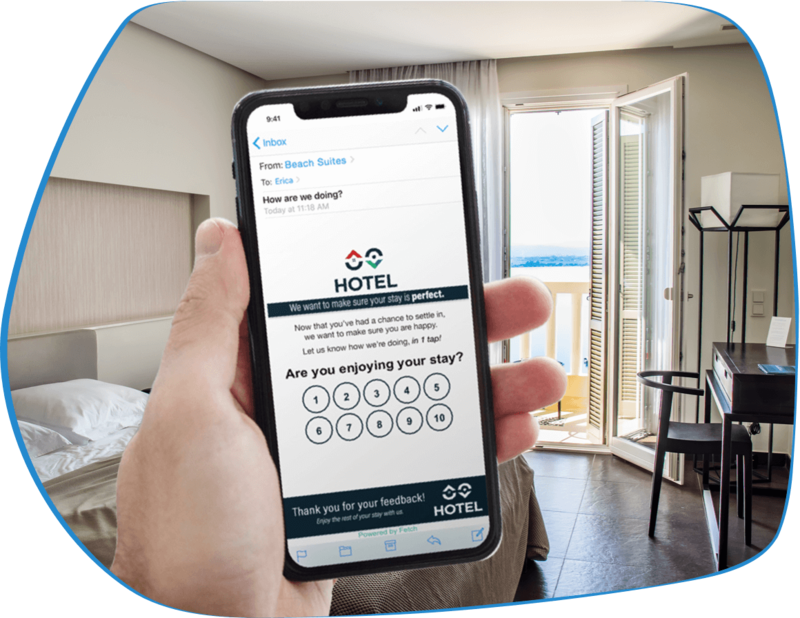 Automatically survey guests during their stay, in just 1-tap, and alert staff in real-time of recovery opportunities. Happier guests, better reviews, more bookings. "My staff can find and fix problems, before a guest leaves unhappy and takes their experience online for the world to see. Actionable insights when we need them most. Fetch's 1-tap surveys are the only engagement our guests will answer. They get the results needed to be a reliable piece of our operations--not just another survey." 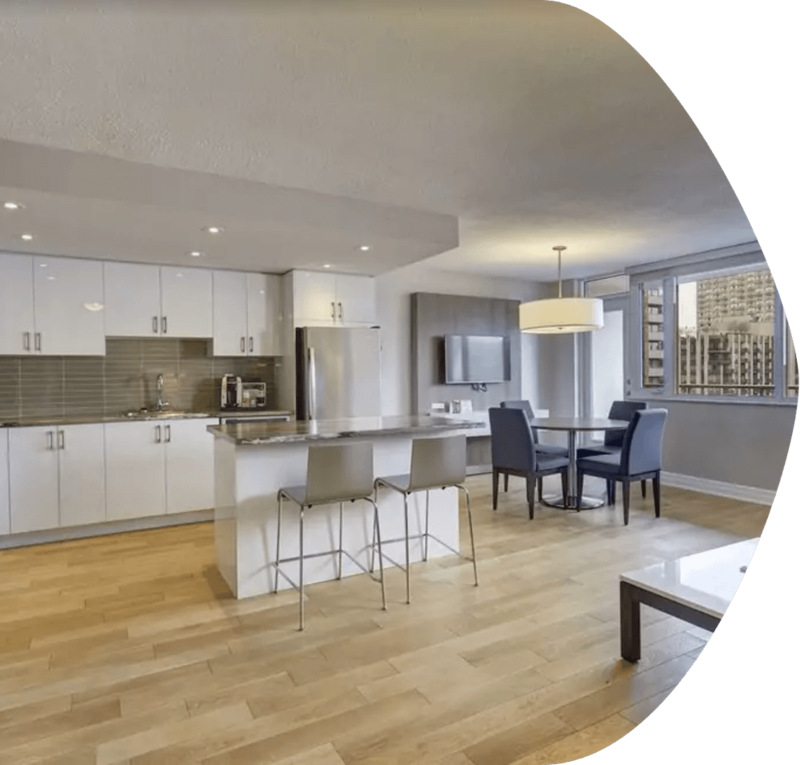 Find on-site recovery opportunities by proactively surveying your guests during their stay. That way you can recover before they checkout and their experience was spoiled. Our 1-tap surveys will find 20x more opportunities. Tell the right staff, about the right guests, at the right time. Real-time alerts when a guest needs attention, and a ticket management dashboard to help recover and track issues until they’re resolved. 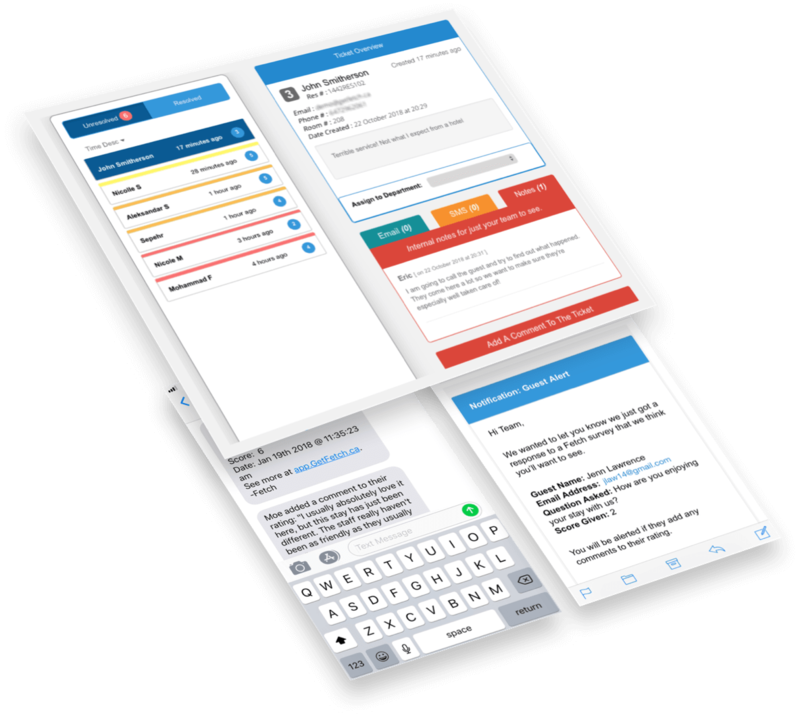 In-app two-way messaging lets staff collaborate and communicate with guests to ensure the right solution, every time. 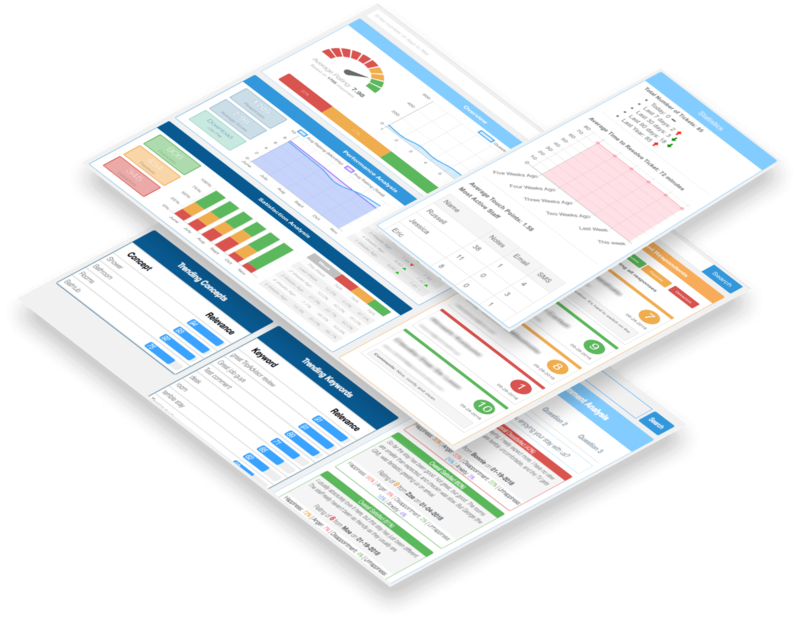 Analytics dashboard to help track guest satisfaction, staff performance, recovery speeds, and sentiment analysis into guest comments using IBM Watson's machine learning. Powering Hotels Around The World. See If Fetch Is Right For Your Property.